The Huawei Mediapad X2 is an excellent Android tablet, and that includes the price. In Europe you can pick this up for €289 or for €330 with LTE, and that includes sales taxes. I had it for just a few days while I did a Notebookcheck video so I wasn’t able to test things like screen mirroring, encryption, MHL, OTG or some of the newer aspects of Android but what I did see was an excellent screen, great design, long battery life, processing and GPU power, AC WiFi and, something that’s always on my list for a good tablet, great speakers. 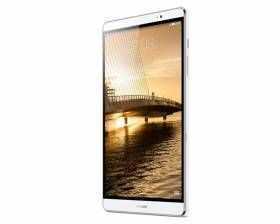 It’s as good as the Samsung Galaxy Tab S2 8.0 and the Ipad Mini in my opinion but the price makes it stand out. 330-euro for 16 GB storage and LTE. I’d love one, thank-you. 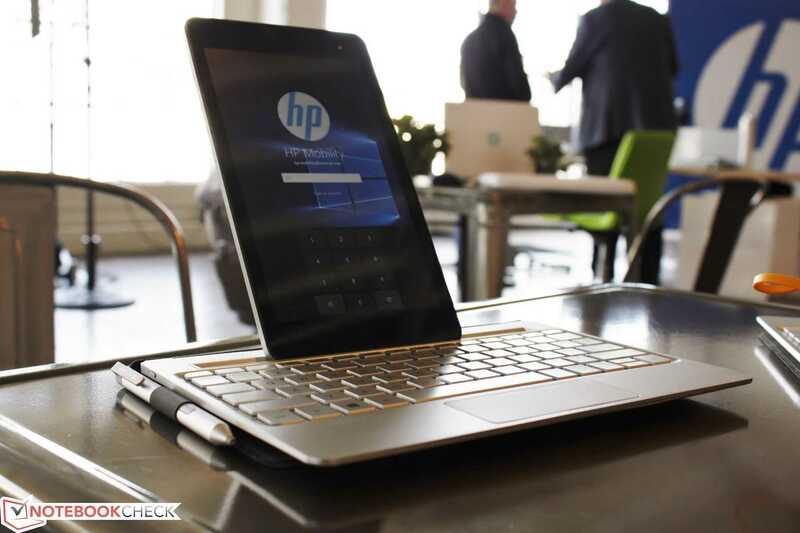 Remember the revolutionary HP note-taking device teased back in June? 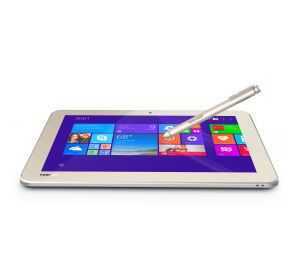 It’s just been launched in the USA and it’s called the HP Envy 8 Note. 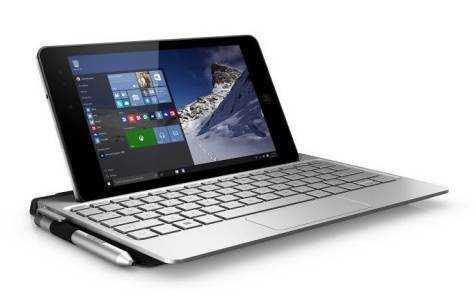 It’s an 8-inch Windows 10 tablet with digitizer layer, unique HP note-taking software and a big keyboard that acts as a cover. 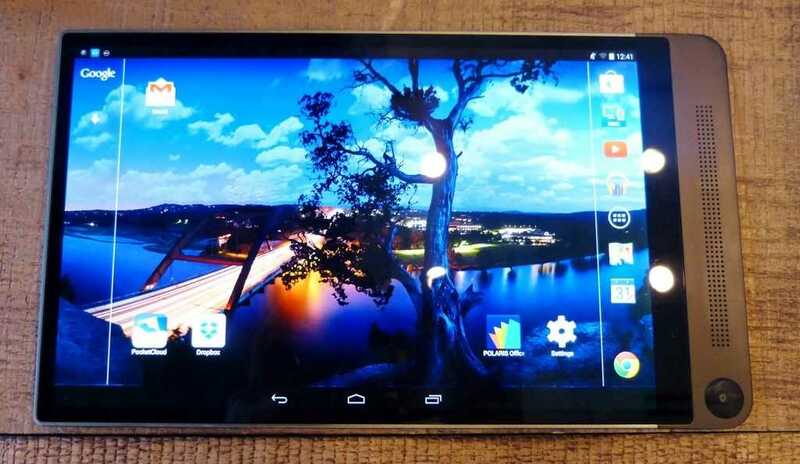 A 1920 x 1200 screen, Atom X5 CPU and stylish design set it apart from other 8-inch tablets although if you choose the keyboard you’ll end up carrying something completely unique in the market today. 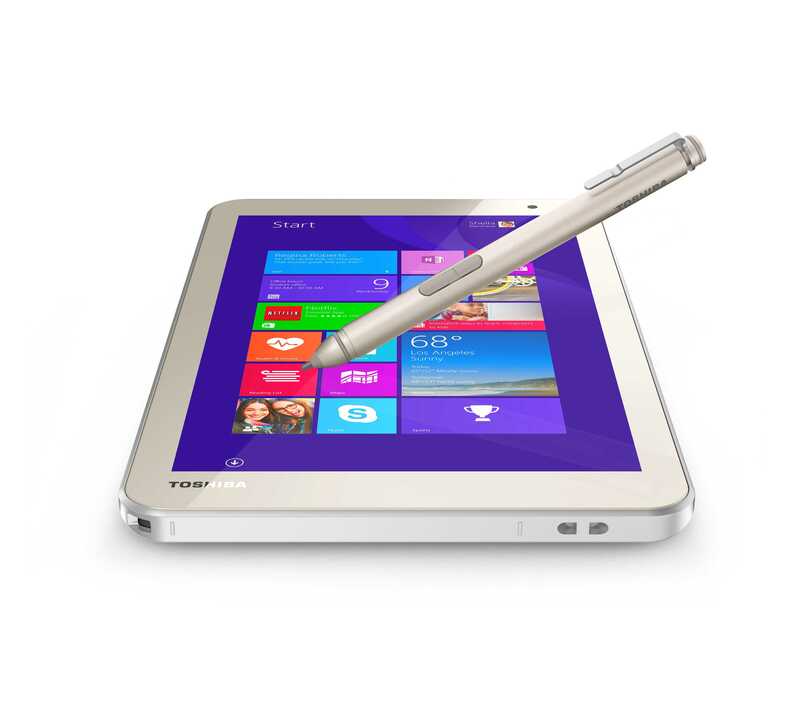 Acer tried it with the W3 a few years back but this looks better executed. While the package price of $429 (available November 9th in the USA) seems attractive you need to note that at that price its only coming with the Atom X5 8300 and 2GB of RAM. You’ll be able to buy the tablet and pen for $329 though. There’s a Verizon LTE option which, according to the press release, seems to be included in the setup but will need a contract to use. That’s obviously going to be different if the HP Envy 8 Note reaches other countries. 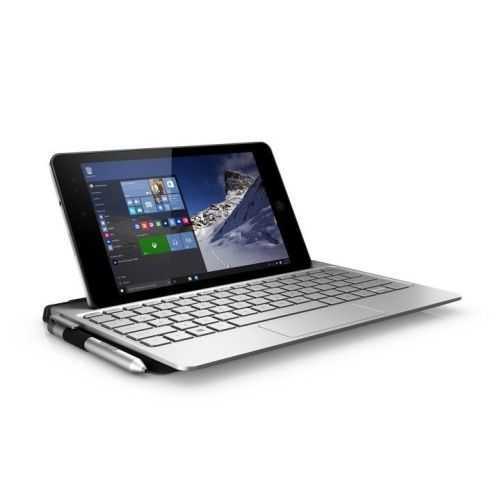 As an upgrade from the HP Stream 8 with Datapass this could be a good option, especially if we see other configurations. 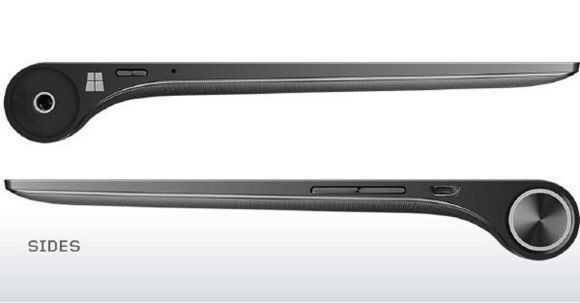 The keyboard is netbook style but has 1.5 mm key travel, soft rear, pen holder and tablet holder. It’s a Bluetooth keyboard so don’t expect an expansion or extra battery to be included. Unfortunately we don’t have a weight for the keyboard yet but a total tablet+keyboard weight of well under 1 KG / 2.2 pounds isn’t unreasonable. 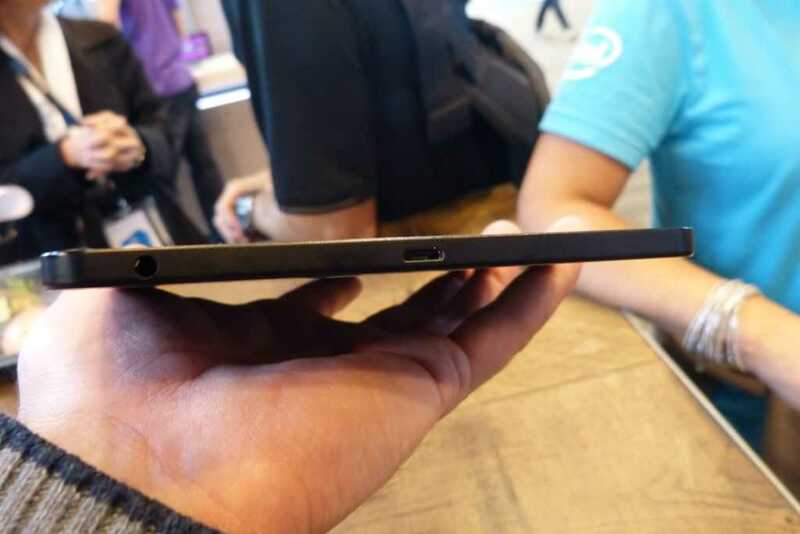 There’s a MicroSD card slot, micro SIM slot and audio headset port. 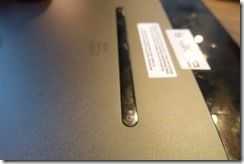 The HDMI port that some are looking for, is missing and the Micro USB charge port only supports USB 2.0. 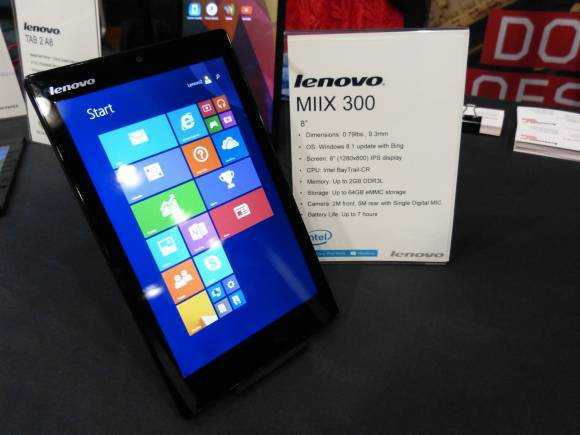 I took a look at the Lenovo Miix 300 after it launched at MWC on Sunday and I was impressed to see such good specifications for a $149 Windows 8 tablet. There are a few things missing though. 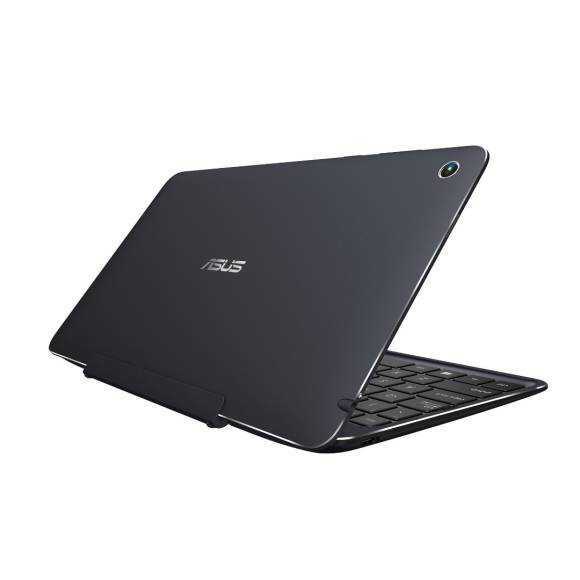 Excited about the ASUS T90 Chi? Here’s a thought. Is the ASUS Transformer Book T90 Chi more than the sum of it’s parts or is it just a bluetooth keyboard and standard Windows tablet? ASUS have created waves with their Transformer Book T90 Chi. Most hands-on reports I’ve read so far are very positive and it appears to be rapidly gaining fans in comment sections across the web. 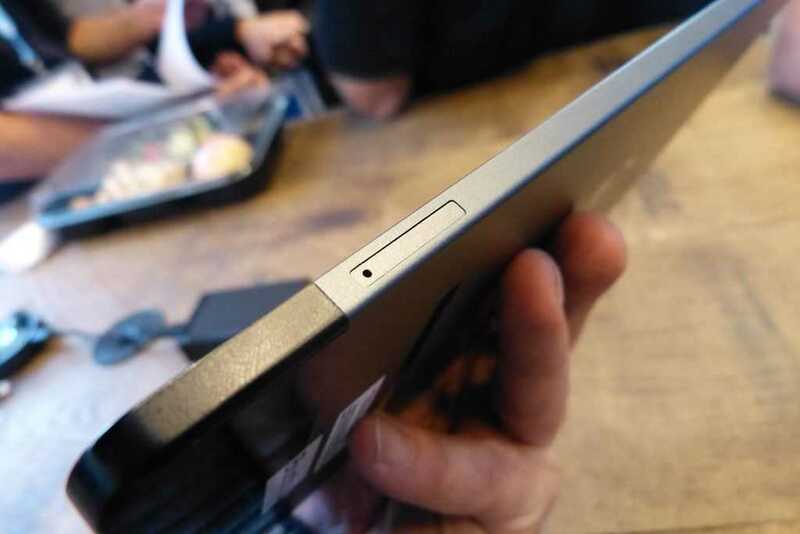 It might be because it’s loosely associated with Intel Core M (only the T300 has core M, the T90 Chi uses that ‘classic’ Baytrail-T platform) or that it looks svelte. It might be because of the price or it might be because it looks like a very cute mini laptop. I’m testing the PoV Wintab for Notebookcheck and the process we use for benchmarking is focused on desktop apps. In some extra testing I focused on the RT / Modern ui of built-in apps and Store apps and the results were completely different. Turn off automatic Windows Updates (it’s a security risk but you can selectively download the security patches if you want them) and refrain from installing desktop apps. Switch to RT mode / Start Screen and everything suddenly becomes smooth and trouble-free. 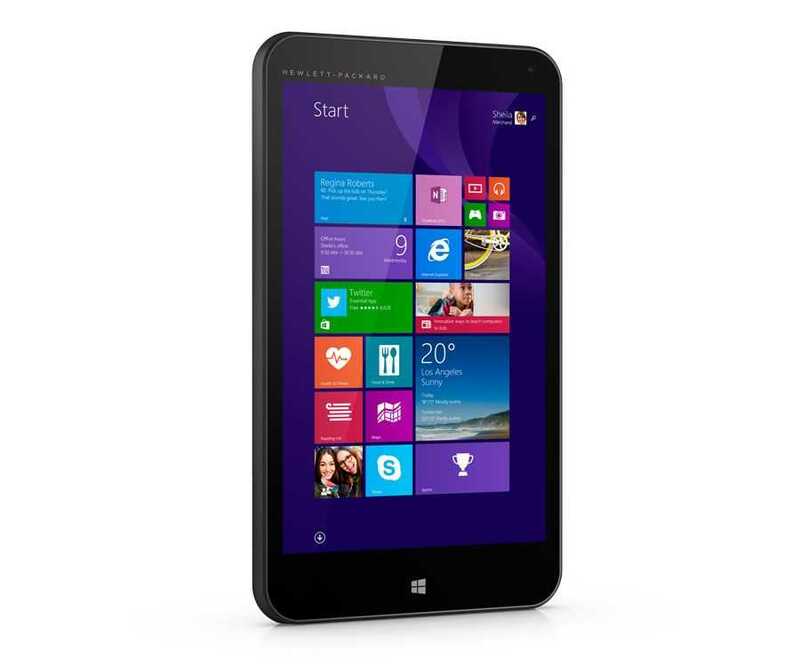 These budget Windows 8 tablets are, effectively, RT tablets. 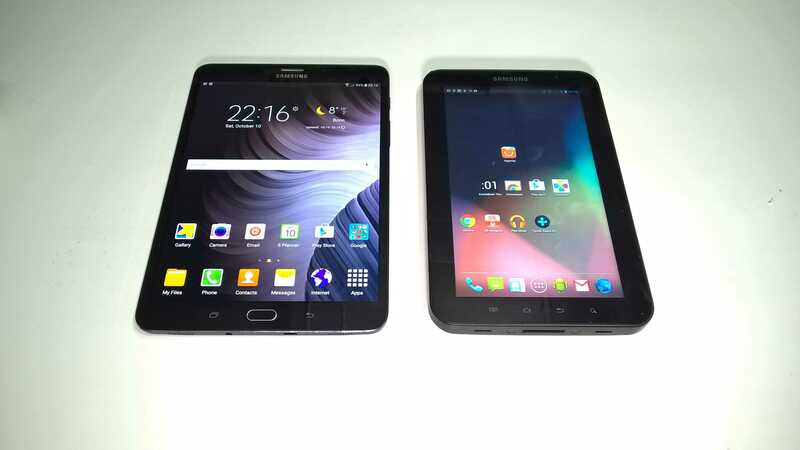 Advanced users will probably want to remove the recovery partition (5GB) and experiment and I’m sure that those users will be able to squeeze some impressive usage out of these tablets but for normal users, don’t bother. 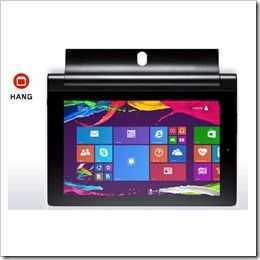 Point of View low-cost 16/1 Windows tablet. 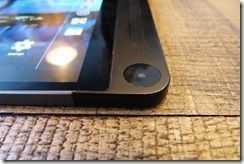 My guide to surviving with 32GB of storage applies to 16GB tablets too so if you want to experiment, take a look here. So here’s the video demo. 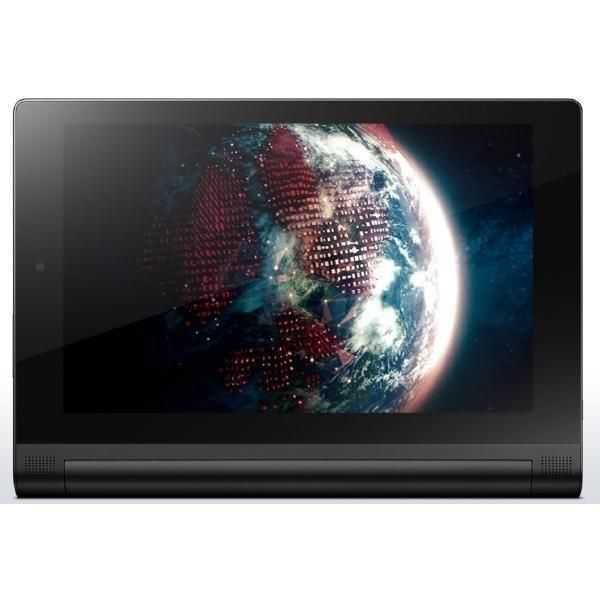 In it you’ll see browsing with smooth zoom, music playing in Connected Standby, a 33 Mbps 2K video playing, maps and other apps running. In fact, everything a normal user would need is here. 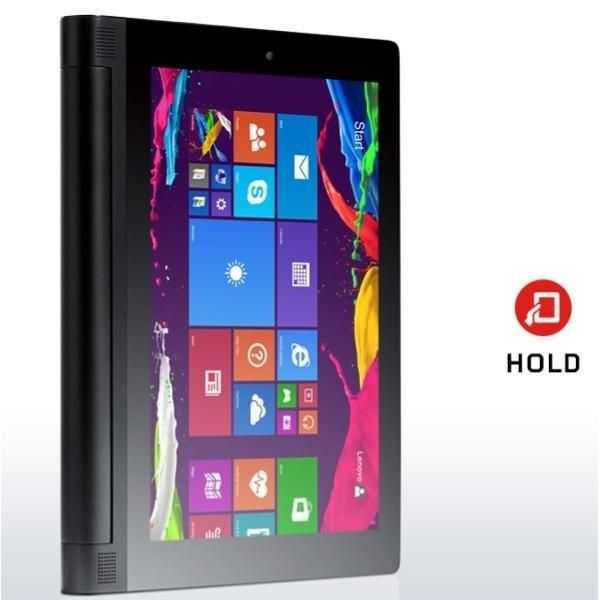 It’s an X86 Windows RT tablet. I can’t get the Lenovo Yoga Tablet 2 8 off my mind. What has the Surface Pro 3, the Flex 10 and the Samsung Q1u got in common? A stand! 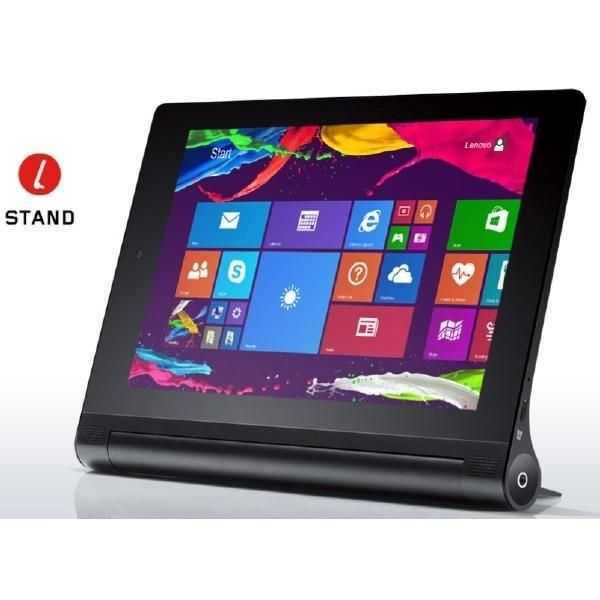 The Lenovo Yoga tablet 2 8 (and 10-inch) has a stand too and at under 1 pound / 426 grams it’s the lightest self-standing PC in the world. 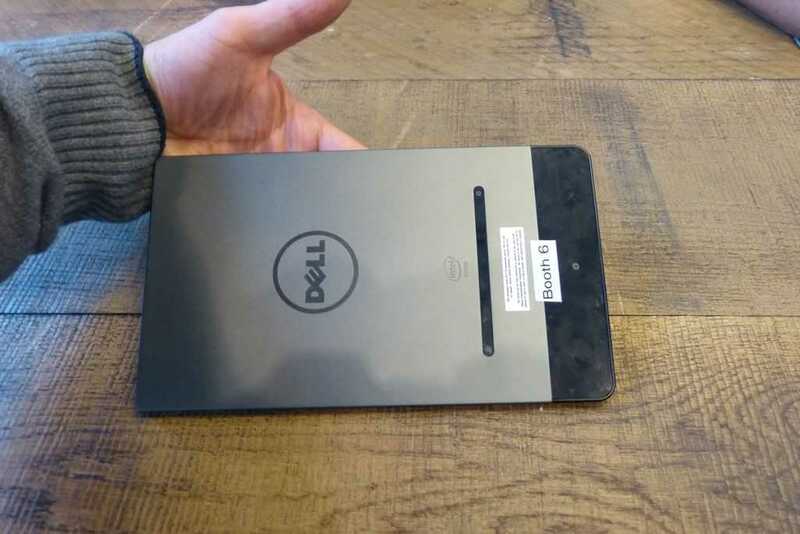 That makes it interesting for me, especially as it’s got a 1920×1200 screen, a big battery, an LTE option and a starting price of just $299 (dual-band WiFi version.) According to a retailer in Germany that has it up for pre-order there’s a digital compass and GPS. This is too good. I hope not though because I’ve just ordered it. I’m expecting an early November delivery. 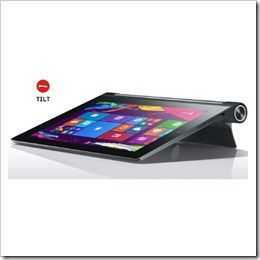 Lenovo Yoga Tablet 2 8 specs and more information. Don’t forget that Lenovo are touting good speakers too so the Yoga Tablet 2 8 could end up being your hotel-room best friend. 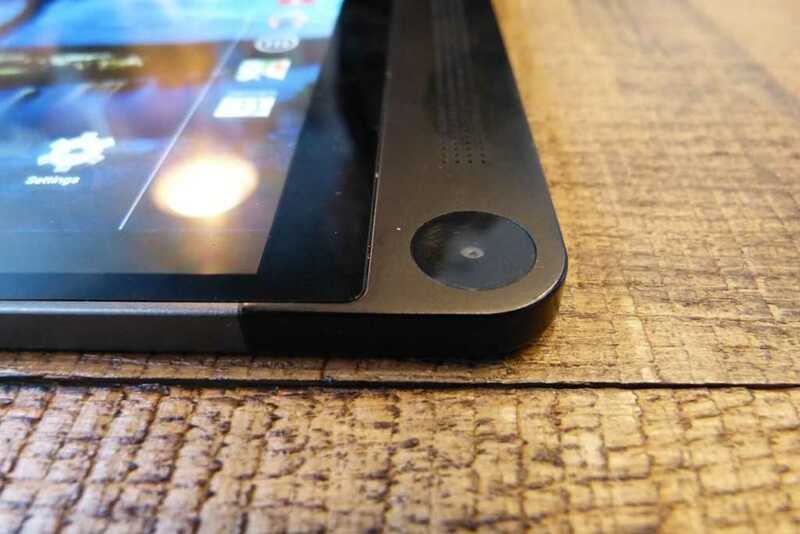 The camera could be the best camera yet on a Windows tablet…8MP rear camera with f2.2 wide-aperture lens, advanced glare-reducing glass and a BSI 2 sensor. 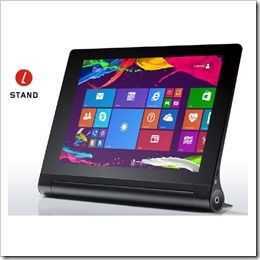 Lenovo Yoga Tablet 2 8 (Windows) issues. Here are the trade-offs you’ll have to consider. 1) It’s not the lightest. 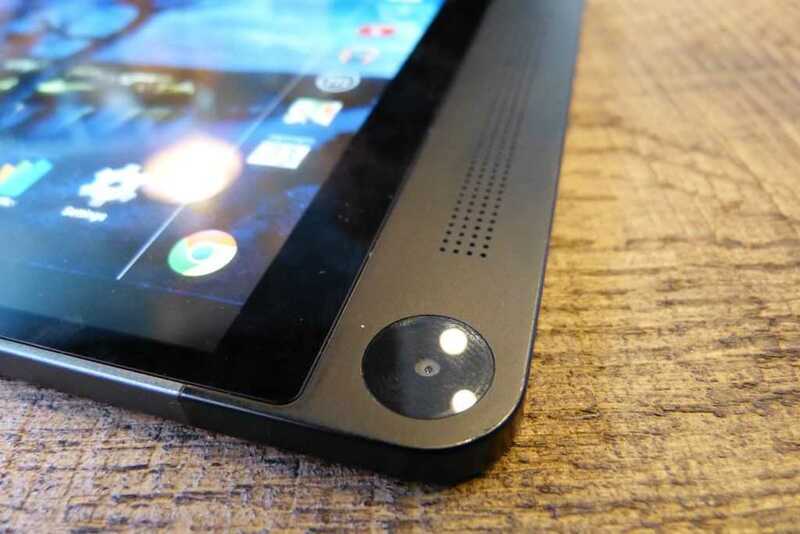 The Dell Venue 8 Pro remains the best ‘reader’ Windows tablet on the market. 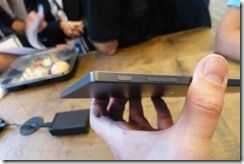 2) The stand/battery might improve the portrait reading experience but it might cause problems when thumb-typing. 3) There’s no HDMI port. You’ll get Miracast for video-mirroring but it’s not good enough for an interactive experience in my opinion. DisplayLink over USB 2.0 works for basic office use though. 4) The SoC isn’t going to be any more powerful than those of the first-generation Baytrail tablets although there’s a possibility that the eMMC could be faster as it is on the Toshiba Encore 2 8 tablet. 5) Still no USB 3.0 and the charge+data issue remains. There may be hacks for the latter issue. 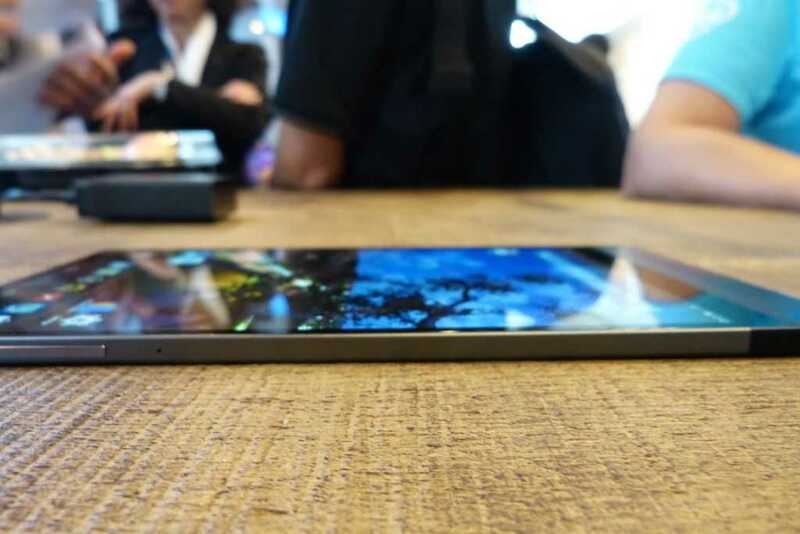 If you’re not feeling it for the Yoga tablet 2 yet, take a look at this video from Mobilegeeks. I’ll add more to this playlist. 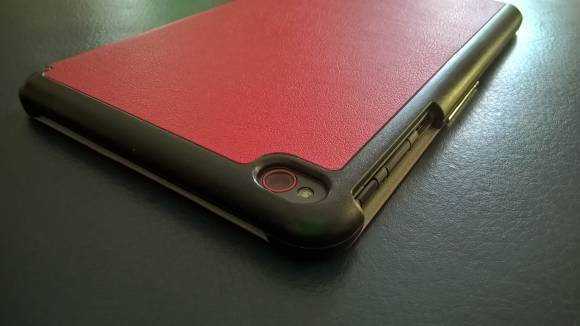 4 weeks to wait for my hands-on. Can you wait that long or are you pre-ordering? 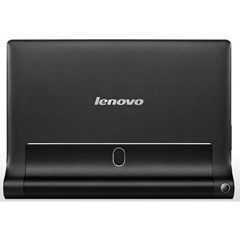 Lenovo Yoga Tablet 2 8 specs and information in our database here. 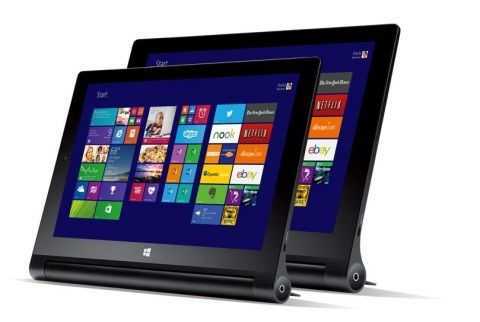 The updated Lenovo Yoga 2 tablet range is now available in three versions and two of those are running Windows. 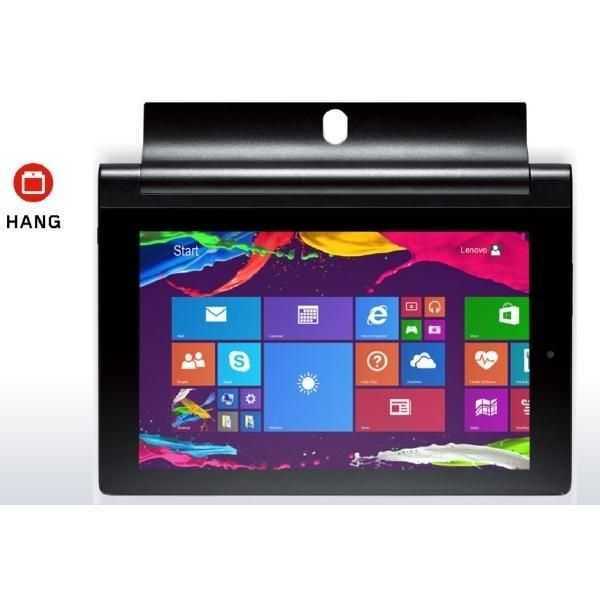 The unique design offers something special for the portrait hand-holder and, some might say “at last” a built-in stand on a small Windows tablet. 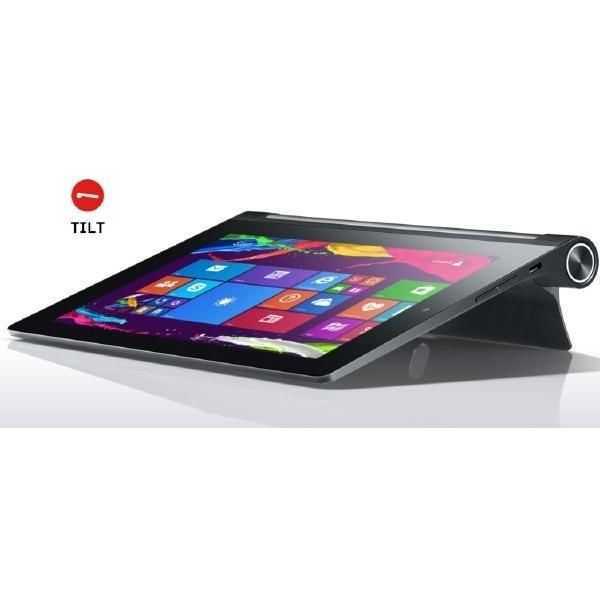 The two Yoga 2 tablets are running on the Baytrail-T platform (we’re not expecting any performance increases over the Miix 2 8 and Miix 2 10) and come with full HD displays. 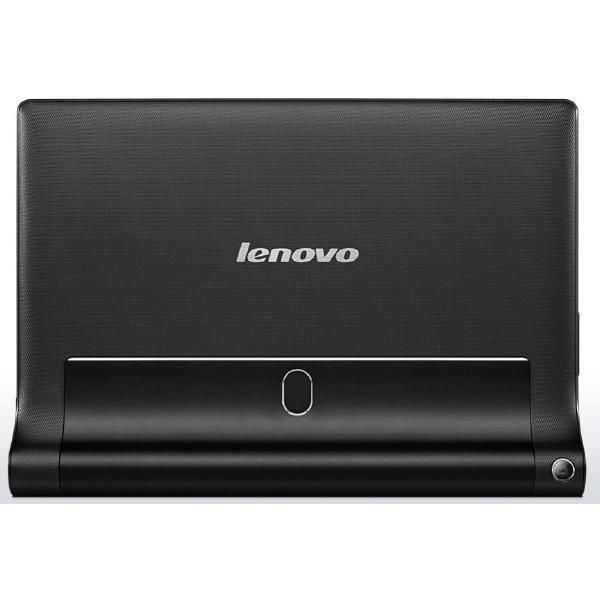 0.94 pounds for the Lenovo Tablet 2 8 isn’t the lightest but you do get a huge 24 Wh battery that should give you at least 10 hours of video playback. 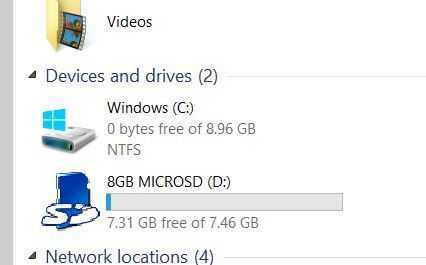 An 8-megapixel rear camera, 2 GB of RAM and 32 GB of storage should be enough to keep Windows 8.1 (and a Windows 10 upgrade in 2015) running smoothly. 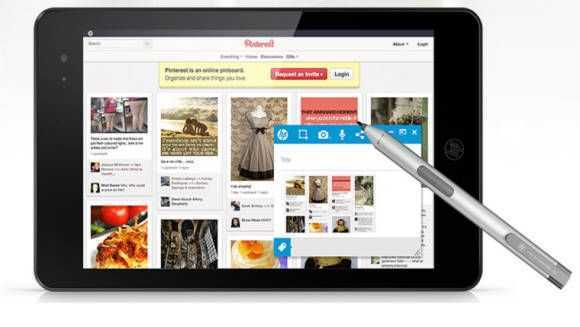 The Lenovo Yoga Tablet 2 10 offers the same design characteristics in a 10-inch format. The battery size gets bumped up by 50% to 35 Wh. Weight is 1.39 pounds. There’s a micro-HDMI port on the 10-inch version and an optional keyboard that you can see in the image above. 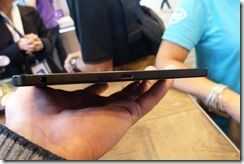 The Yoga 2 tablet design is going to be good for hand-holding in portrait mode and the stand mode, as we know from convertibles like the Lenovo Flex 10, is a great option for coffee-shop or breakfast browsing but the design could hinder portrait mode thumbing, at least on the 8-inch version. 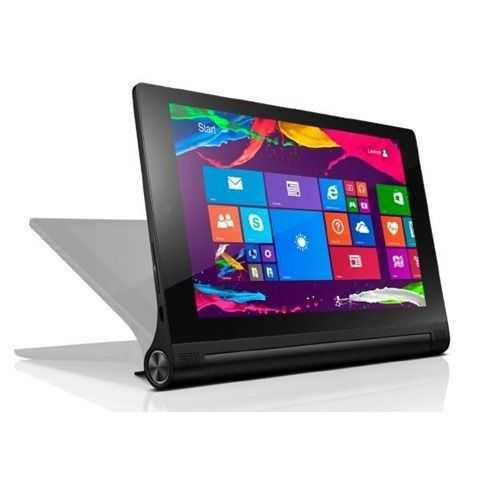 If the speakers are high quality the 10-inch version could make a great all-round holiday / weekender PC and something to consider when looking at the Acer Switch 10 with the full HD screen. The new Yoga 2 tablet 10 with the Bluetooth keyboard cover (it’s unclear if this is part of th Update: It’s included with the 10-inch version.) 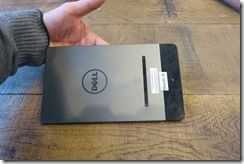 could combine to make a very lightweight and low-cost full-HD mobile PC option. Keep your fingers crossed for a quality keyboard experience. 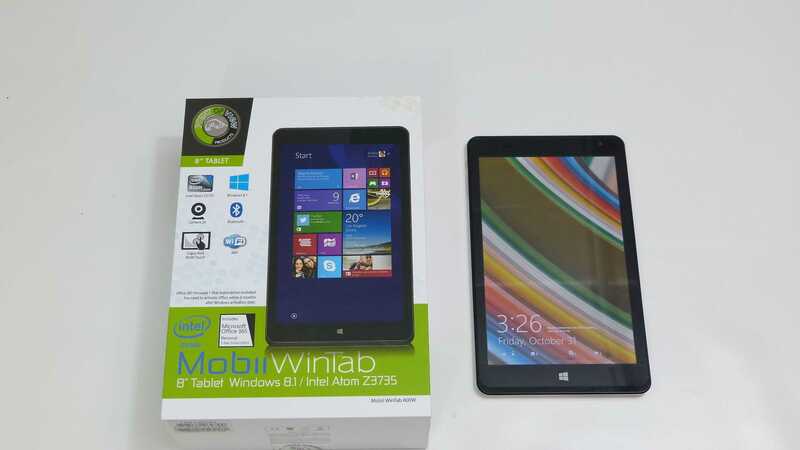 If the build quality is there and the early reviews are good these two models could stand, if you’ll excuse the pun, well ahead of the basic Windows tablet crowd as we move towards Christmas 2014. Don’t forget that they’re very likely to get a free Windows 10 upgrade in 2015 too! 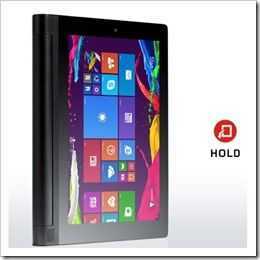 We’re tracking information on the Lenovo Yoga Tablet 2 8 and Lenovo Yoga Tablet 2 10 in our database.